ITS BACK!!! 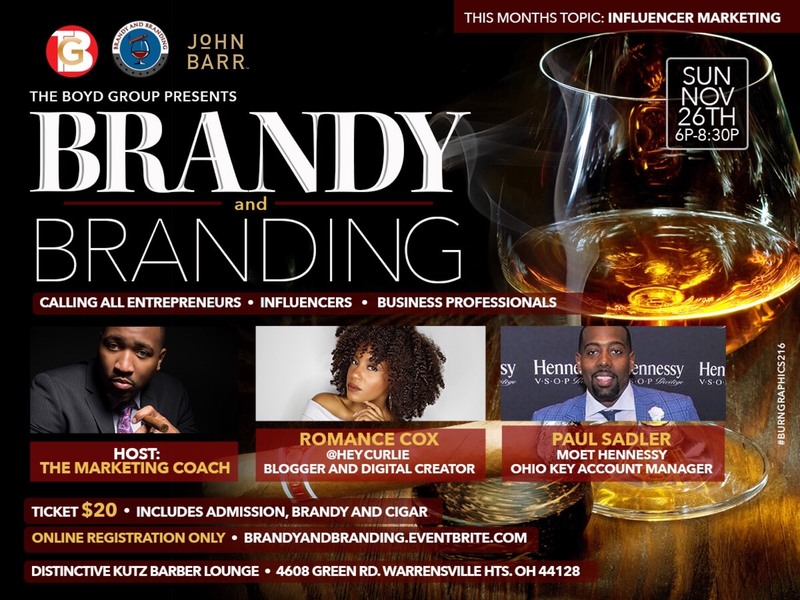 The Boyd Group Presents, Brandy and Branding a networking event hosted by The Marketing Coach. This event is for entrepreneurs and business professionals to come together with like minded individuals to seek knowledge and discuss general business, in addition to branding and marketing issues surrounding their business. This month’s topic will be Influencer Marketing. This month we will be featuring two powerful Entrepreneurs who have created strong brands, as our guest speakers: Blogger and Digital Creator Romance Cox and Moet Hennessy Account Manager Paul Sadler. Each ticket includes a complimentary drink and cigar. Can’t wait to see you there.